Police in Scotland will formally investigate allegations that anti-Scottish independence campaigners breached electoral law during the referendum held on September 18. “We can confirm that Crown counsel has instructed Police Scotland to commence an investigation into alleged breaches of Schedule 7, Paragraph 7, of the Scottish Independence Referendum Act 2013,” a statement issued on Saturday by the Crown Office, Scotland’s prosecution service reads. The allegations relate to comments made by Ruth Davidson, a Member of the Scottish Parliament and leader of the Scottish Conservatives, in which she appeared to know the general results of postal votes arising from “sample opening” of ballot boxes. Postal vote opening sessions are permitted before the formal poll is conducted to verify signatures and dates of birth against records held by the local Returning Officer. Agents for the two campaigns were allowed to monitor these sessions, but it is a criminal offense, punishable with up to a year’s imprisonment if found guilty, to communicate any information witnessed during the sample opening sessions. In a television interview with the BBC shortly after the formal poll closed Davidson said “we’ve been incredibly encouraged by the results [of the postal vote],” implying the Scottish Conservative leader knew the outcome of the postal votes before the first formal results had been announced. The independence referendum, which took place on September 18, saw a turnout of 84.59 percent. 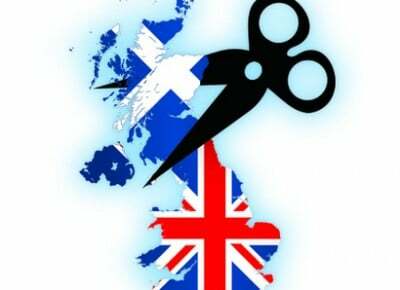 Scotland has chosen to stay in the United Kingdom with 44.7 percent of Scots having voted in support of independence and 55.3 percent having voted against.